Washington: A new study has found that contrary to the belief that milk helps reduce the risk of fractures, it actually may be linked to high fracture and mortality rate. The observational research suggests that it may be due to the high levels of lactose and galactose (types of sugar) in milk, that have been shown to increase oxidative stress and chronic inflammation in animal studies. 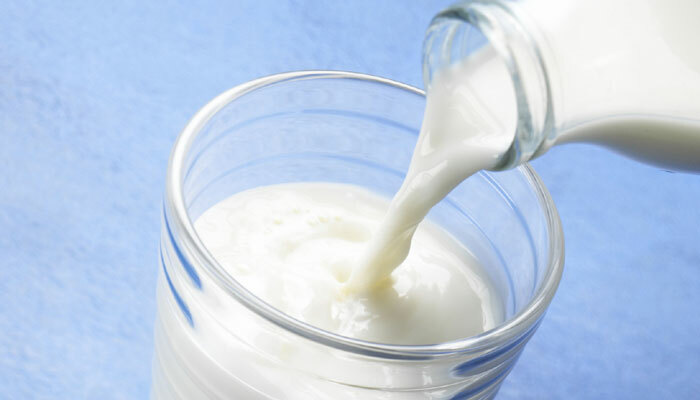 A research team in Sweden, led by Professor Karl Michaelsson, examined whether high milk intake might increase oxidative stress, which, in turn, affects the risk of mortality and fracture. Two large groups of 61,433 women (aged 39-74 years in 1987-1990) and 45,339 men (aged 45-79 years in 1997) in Sweden completed food frequency questionnaires for 96 common foods including milk, yoghurt and cheese. Lifestyle information, weight and height were collated and factors such as education level and marital status were also taken into account. National registers were used to track fracture and mortality rates. They concluded that a higher consumption of milk in women and men was not accompanied by a lower risk of fracture and instead may be associated with a higher rate of death. Consequently, there might be a link between the lactose and galactose content of milk and risk, although causality needs be tested. However, the researchers point out that their study could only show an association and not prove cause and effect. They said that the results “should be interpreted cautiously” and further studies were needed before any firm conclusions or dietary recommendations were made.